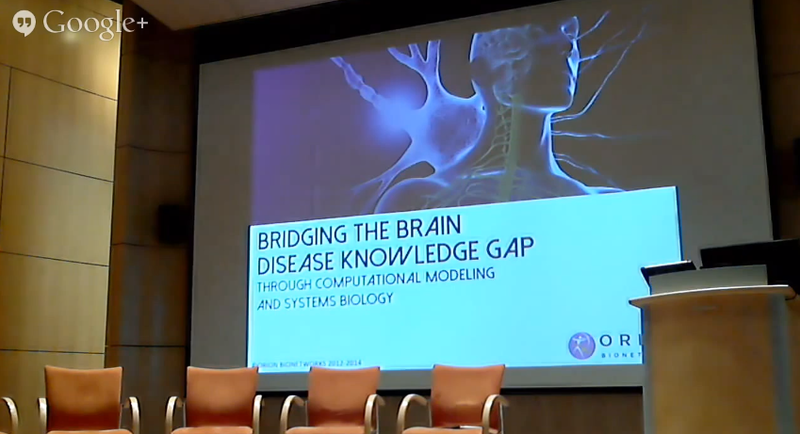 The Cohen Veterans Bioscience webinar series fosters an exchange of knowledge on the latest breakthroughs in a variety of technical fields including bioinformatics, computational modeling, biomarker research, and nanotechnologies, and will cover how these can be utilized to accelerate time-to-cure for brain disease. We are also inviting expert speakers to submit proposals for future webinars on the above topics. 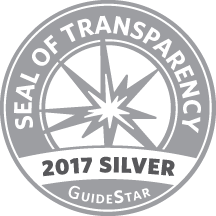 Each webinar will be 50 minutes in length, followed by a 10-min Q&A with questions submitted virtually by the participants. 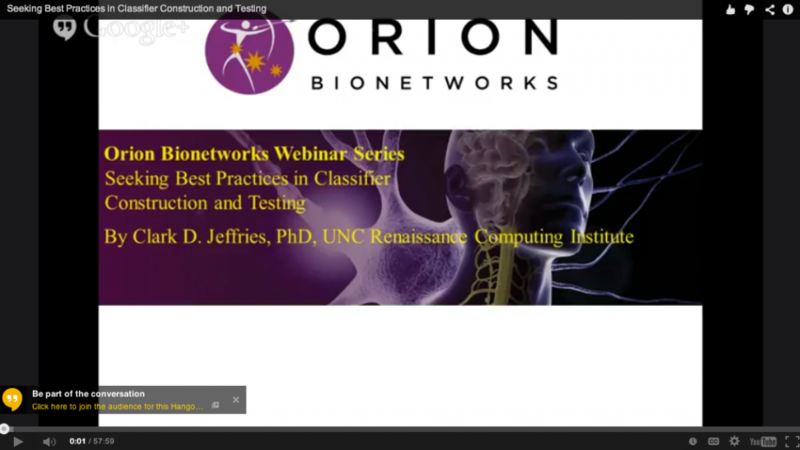 All Webinars will be freely open to the entire community. In this webinar, Dr. Hooijmans presented a first draft of the GRADE approach for assessing the certainty in the evidence tailored to preclinical animal intervention studies in the context of (clinical) therapeutic interventions, and also discussed some methodological challenges. 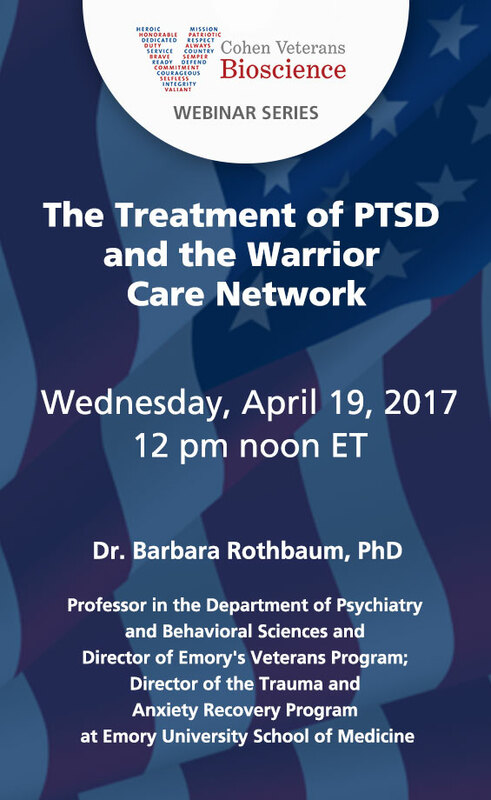 In this webinar, Dr. Barbara Rothbaum, who leads the Emory Veterans Program, explores post-traumatic stress disorder (PTSD) and its treatment both in general and within the Warrior Care Network. As part of “Rigor and Reproducibility” effort by the National Institutes of Health, OTIPI, jointly with the ECNP’s Preclinical Data Forum Network, is proud to present a special webinar. 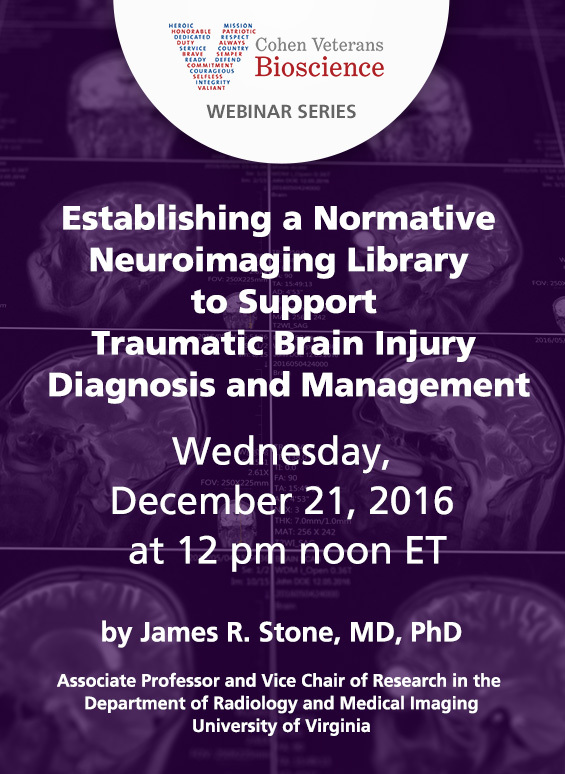 This webinar will discuss the pathology of TBI and highlight similarities and differences to Alzheimer’s Disease. 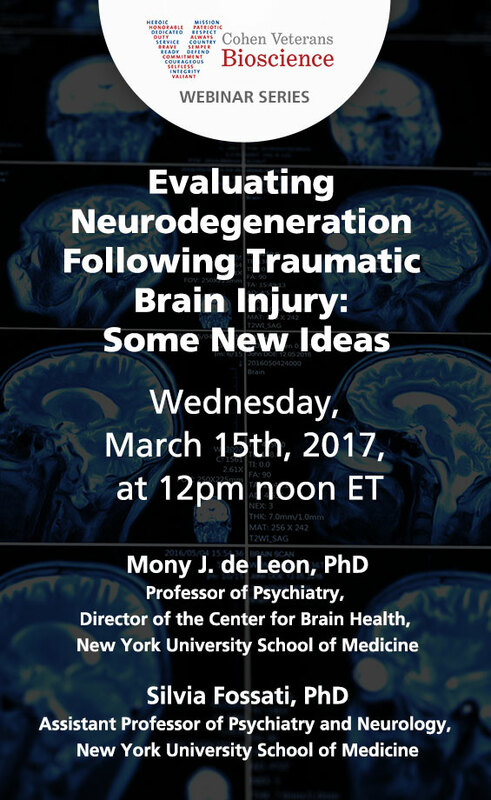 The characterization of these changes will be from the perspectives of neuropathology, neuroimaging, and fluid biomarkers. 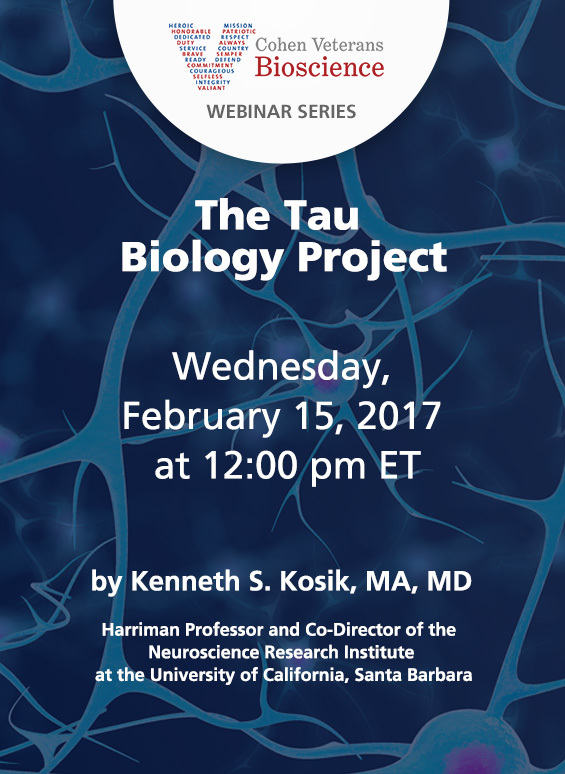 Dr. Kosik will discuss the Tau Biology Project recently undertaken through Cohen Veterans Bioscience. Tau plays a crucial role in many neurodegenerative conditions, including the late sequelae of repeated head injury known as chronic traumatic encephalopathy. The lack of normative neuroimaging data is a major barrier to the clinical utilization of advanced neuroimaging sequences. A large fraction of published non-clinical research findings in the life sciences turns out to be non-reproducible. This wastes resources in research and undermines public trust in science, potentially putting public funding of such research in danger. 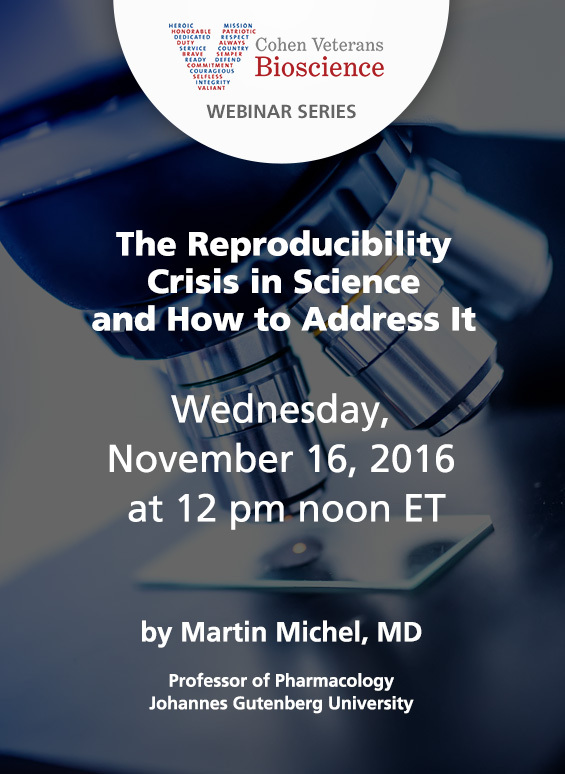 The webinar will discuss the main reasons for lack of reproducibility with emphasis on inappropriate use of statistical approaches. 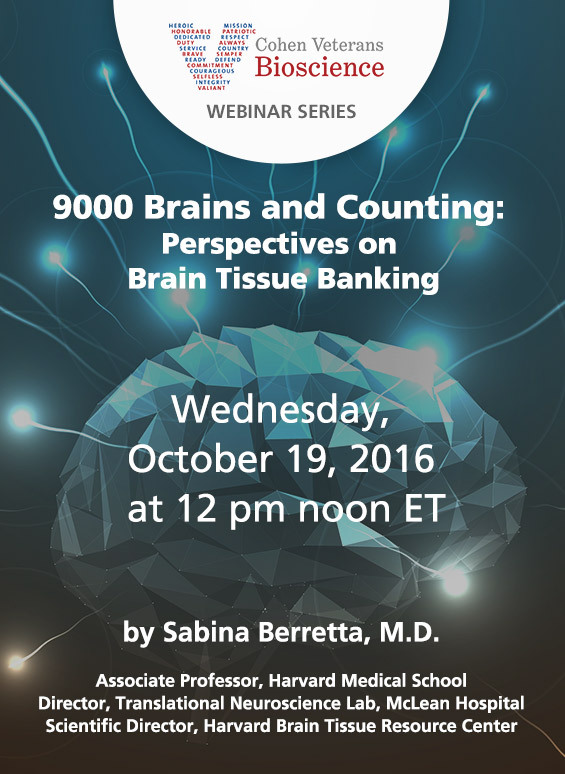 The Harvard Brain Tissue Resource Center was founded in 1978 and has collected more than 9000 brains over time. Together with similar brain banks, it provides a unique resource to investigators world-wide, contributing brain tissue to studies on the healthy human brain as well as to research on numerous brain disorders. 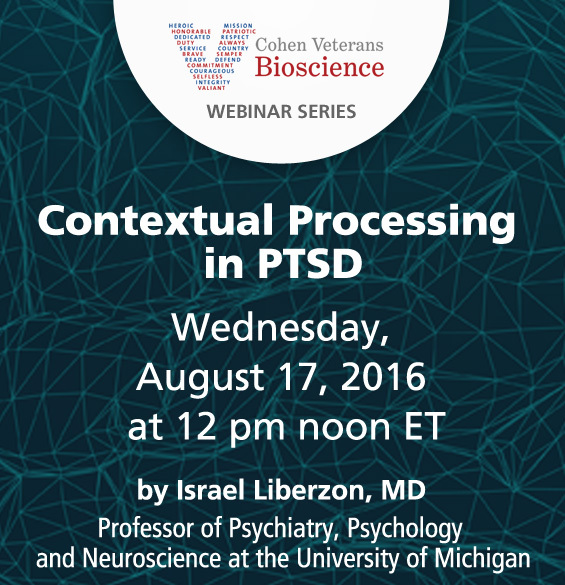 The brain mechanisms that underlie PTSD are not yet understood. Fear condition and extinction models have been originally proposed, and broadly accepted as candidate mechanisms for PTSD development, however more recently the limitations of these models gained increasing attention. What are animal models and why are they used in research? 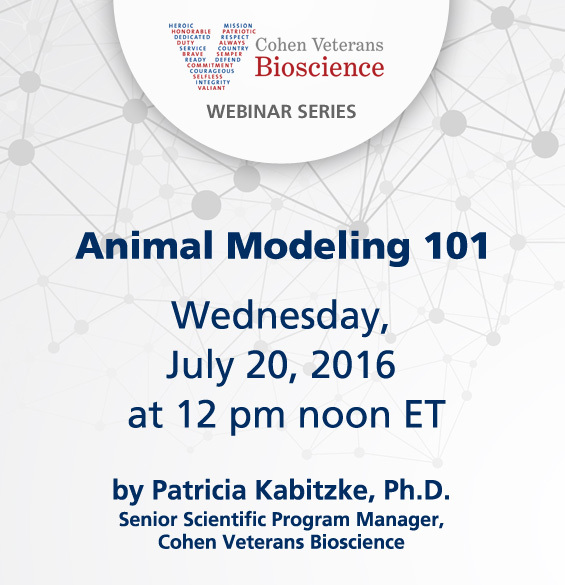 This webinar will provide a general overview of animal models, the various ways that they are generated, and their invaluable contribution to scientific discovery. Elucidating disease and dysfunction requires understanding how genotypic variation relates to phenotypic outcomes. Researchers produce data that are collated to generate hypotheses and novel discoveries, which feed into the clinic, further driving basic research. It is a beautiful cycle, but not all data is created equal along the way, and this process can take years. Since many fundamental neural coding schemes, such as reinforcement learning, are conserved from animals to humans, we believe that identifying specific neural coding deficits will increase the predictive value of preclinical models. This webinar will explore how technologies that combine fluid injection and electrophysiological recording will allow for probing the effect of candidate treatments on neural activity and thereby facilitate discovery of novel cures. 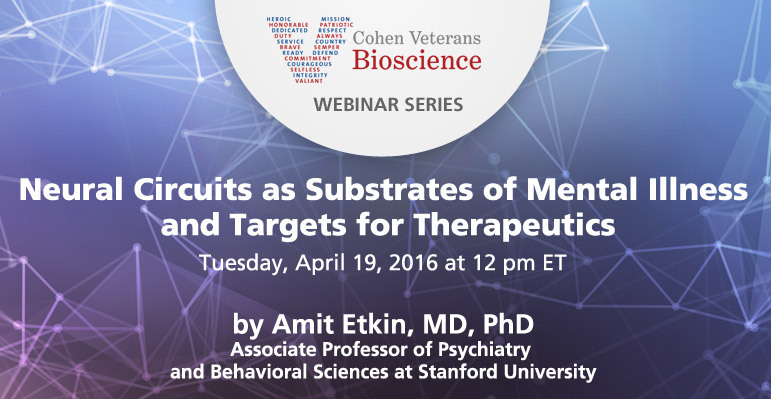 In this webinar, Dr. Etkin will discuss work in the lab defining the neural circuit abnormalities associated with psychiatric disorders as a whole, as well as specific abnormalities associated with particular mood and anxiety disorders, as well as subgroups within them. Dr. Etkin will then examine the mechanisms of current medications, psychotherapy, and brain stimulation treatments within the context of a circuit-based understanding of these psychiatric disorders. In this presentation, Lauren Bataille will discuss The Michael J. Fox Foundation’s efforts around novel technologies and big data to gain a better understanding of the experience of those living with PD, and the impact that this research could have for disease management and therapeutic drug development for PD and other brain diseases. Diffusion Spectrum Imaging (DSI): A tool for unraveling disrupted structural connectivity in PTSD? In this presentation, Dr. Fernando E. Boada will discuss the conceptual paradigm for utilizing DSI in the study of PTSD along with the methodological developments that have enabled its use. In addition, Dr. Boada will present the results to date in the PTSD cohort and the conceptual considerations required for using DSI as a single-subject diagnostic tool. 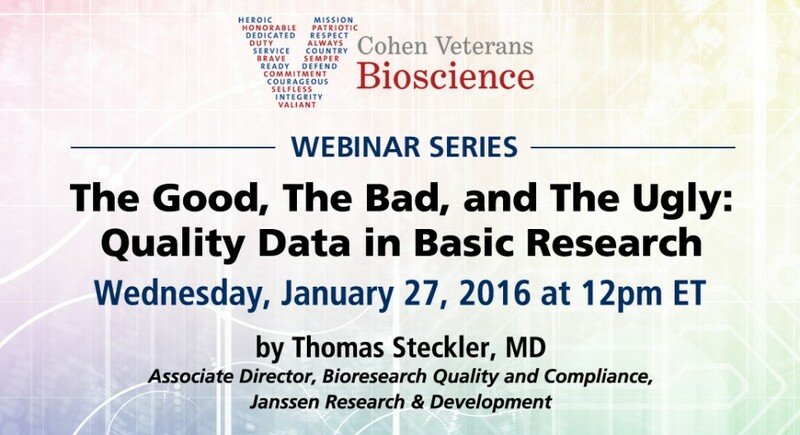 Dr. Steckler will discuss the factors underlying the lack of reproducibility and will address ways to improve data reproducibility, robustness and data quality using a forward-looking approach. Julian Ford, PhD, presents “Post-Traumatic Stress Disorder Assessment & Treatment Planning”, discussing approaches to PTSD screening and treatment planning. Kerry J. Ressler, MD, PhD, presents “Neural Circuit and Genomic Approaches to PTSD and Fear-Related Disorders”, discussing advancements in approaches for researching and treating fear-related disorders. The life course burden of PTSD: Can genetic research help? 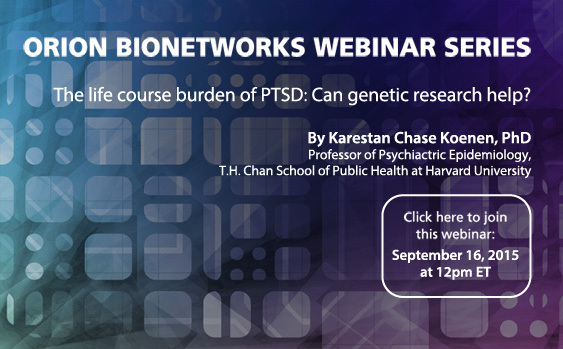 This webinar features Dr. Karestan Chase Koenen who will describe the public health impact of PTSD over the life course and across generations as well as who is most affected by the disorder. 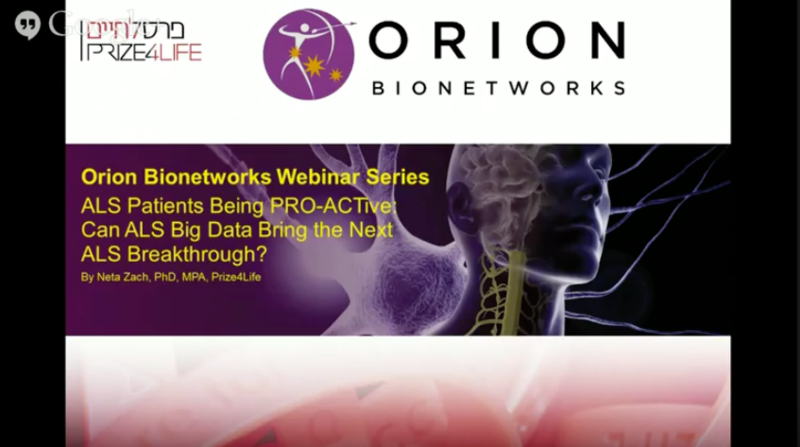 This webinar features by Rick Blevins, PhD, Co-founder and CIO at Virtual-Rx, and Allison Provost, PhD, Scientific Program Manager at Orion Bionetworks. 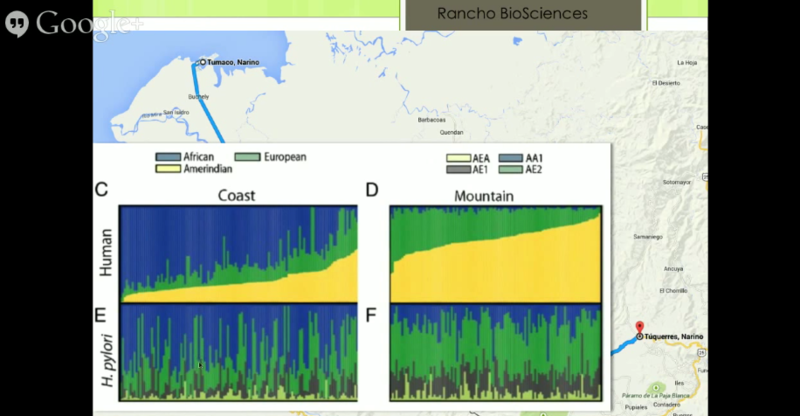 This webinar features Dr. Boris Hayete, Senior Director of Genomic Medicine at GNS Healthcare. Dr. Hayete will present the application of GNS Healthcare’s proprietary causal inference platform to the Orion MS dataset, discussing both the methodology and the generated findings. 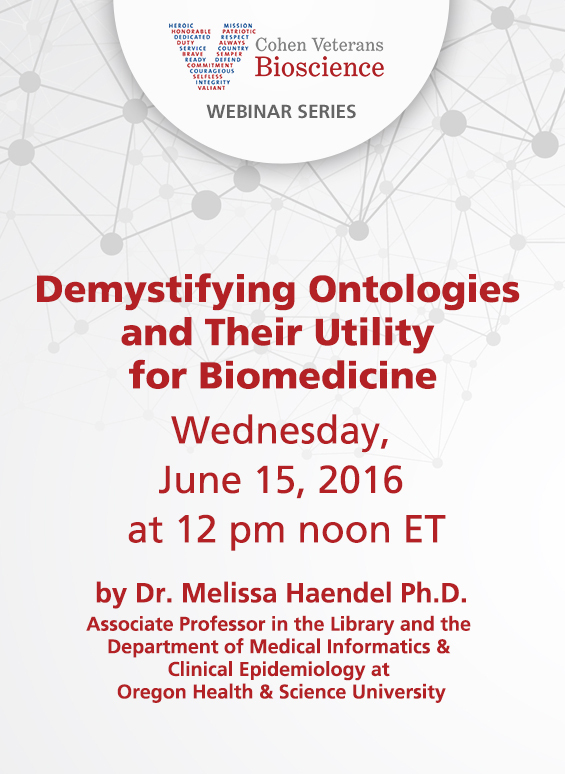 This webinar features Dr. Renée Deehan Kenney, Senior Vice President of Research & Development at Selventa. This webinar features Dr. Martin Hofmann-Apitius, Alpha Tom Kodamullil, and Shweta Bagewadi from the Fraunhofer Institute for Algorithms and Scientific Computing (SCAI) in Sankt Augustin, Germany. 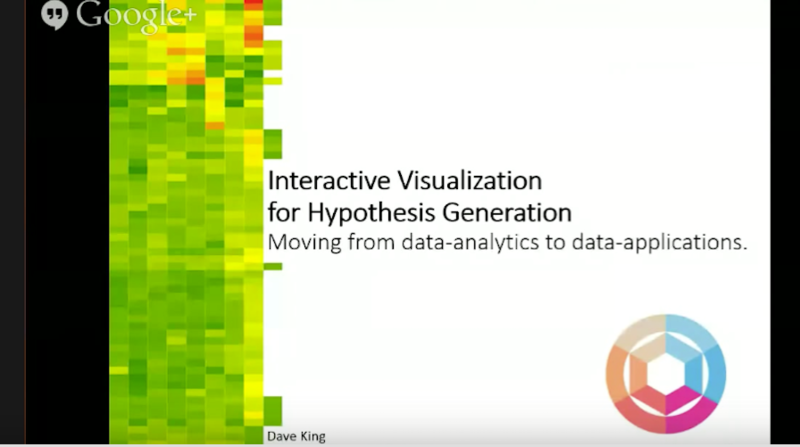 Dave King of Exaptive presents and explains interactive visualization tools. Dr. Stephen Wicks presents The Role of the Gut Microbiome on Multiple Sclerosis Risk and Progression. Neta Zach, PhD, MPA, is the Chief Scientific Officer at Prize4Life Israel and managed all of its programmatic portfolio including the PRO-ACT database, an award winning, largest of its kind database of ALS patient data from past clinical trials, the ALS prediction prize, the ALSgene of ALS genetic information and the ALS forum of ALS news and other programs. 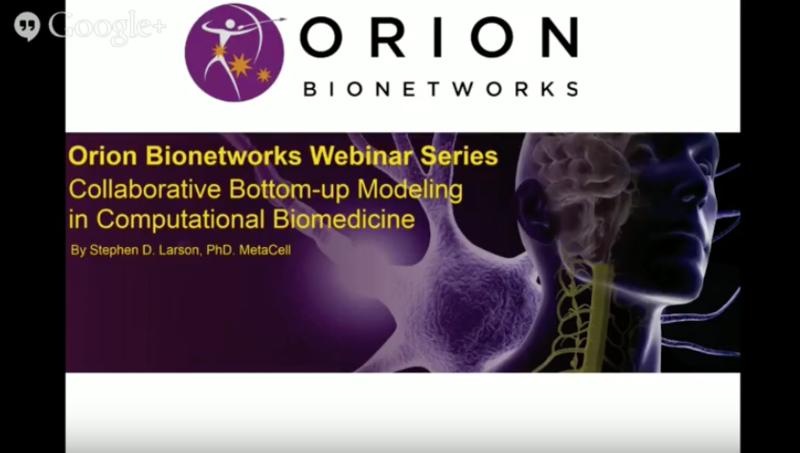 In this talk, Stephen Larson, PhD will discuss our approach to increasing the usability and rigor of models of biological phenomena through the use of more collaborative and professionally engineered model building software tools.